Flexible, efficient and discreet washroom and hygiene services. Superior cleaning with AirSteril anti-microbial technology. Hazardous, non-hazardous and offensive waste disposal. Drainage clearance, drain repair and CCTV camera surveys. the North East the very best in facilities services. TWC Group are the local supplier of choice, trusted by some of the region's largest organisations. Have confidence in a service that has been Contractor Plus, Safe Contractor and IWSA approved. 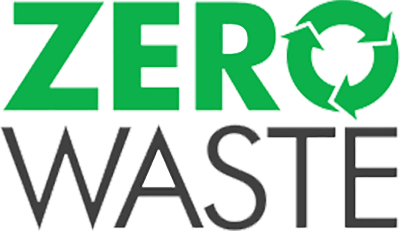 We lead the field with our zero waste to landfill policy - proud to use no landfill and promote energy from waste. Contact us today to schedule your free site survey. "This year we have seen a stark improvement in employee wellbeing. We installed an AirSteril product from TWC Group. Within hours of the installation, employees noticed the air quality improving. "Since May 2018 we have lost no sick days. The product is designed to control bacteria, viruses in the air and on all exposed surfaces. Employees with Asthma and Hay Fever have reported seeing improvements to their symptoms 20 mins after arriving at the office." Leading the way with environmentally friendly services. TWC Group are proud to be saying no to landfill. Each year, hundreds of thousands of tonnes of recycling is sent to landfill sites, and this has to stop. By ensuring none of your recycling waste or offensive waste is sent to landfill, you play an important part in protecting our environment, whilst also saving time and money.